Some moms prefer to go out for brunch, some like a relaxing day at a spa, some enjoy a lovingly prepared breakfast served to them in bed. My favorite thing on Mother's Day is breakfast in bed. Nothing beats luxuriating in the comforts of my warm covers while I watch the news and sip a café latté - no rush to pack a school lunch, fix breakfast, or remind to grab socks/brush teeth/put on a coat. Instead, I can relish the quiet moments of the morning, knowing that my daughter and her father will soon deliver a beautiful breakfast tray complete with fresh cut flowers from the garden. To me, it is the best Mother's Day gift ever. 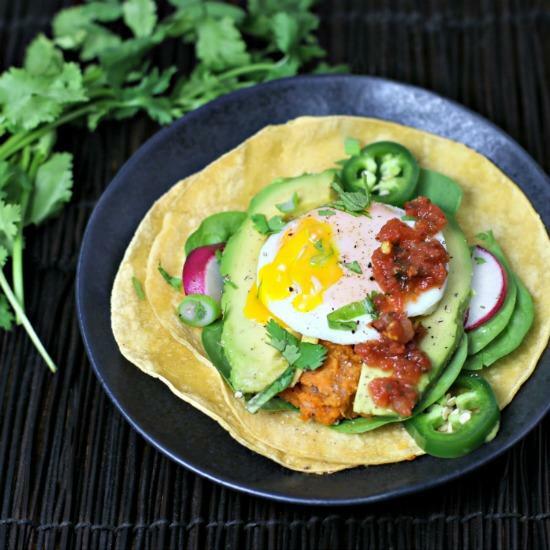 For the moms who also love breakfast in bed try one of these dishes to show how much you adore her. 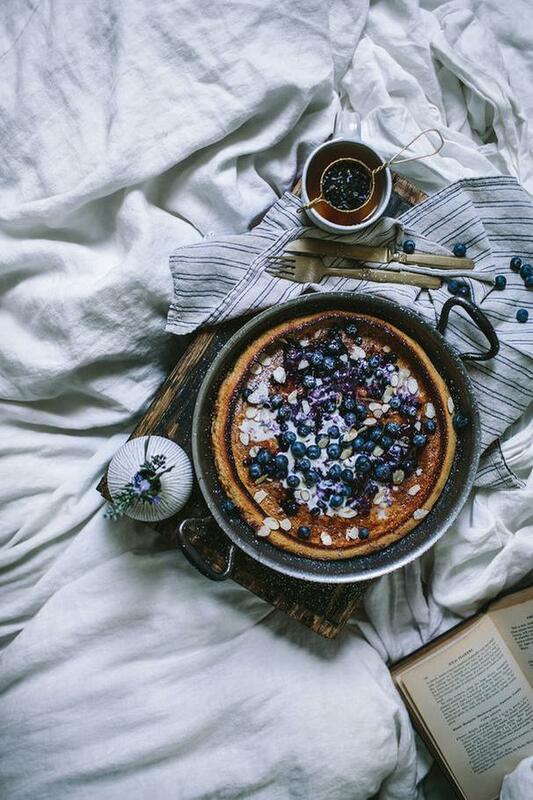 For the sweet breakfast, lovers try the Blueberry Dutch Baby, an easy one-skillet dish that's like a giant custard-filled pancake. If you're lucky, maybe she'll share. 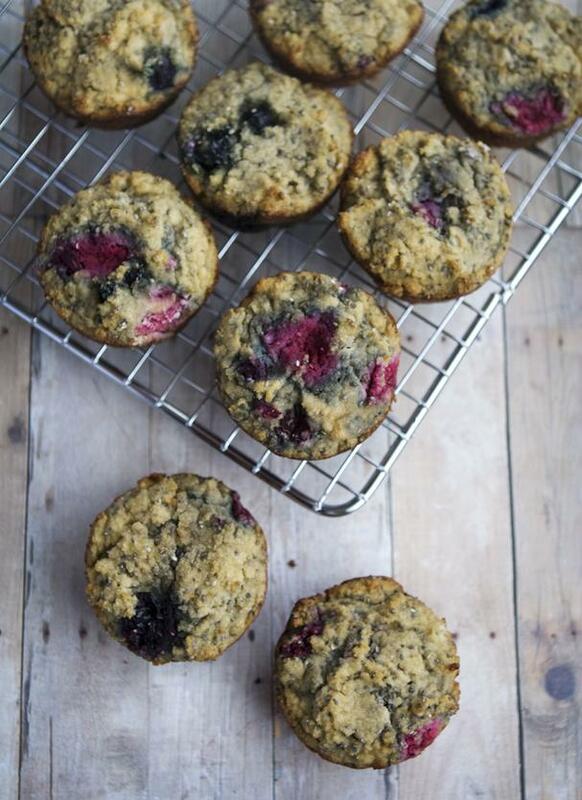 She doesn't have to be gluten-free to love the Gluten-Free Berry Chia Muffins. They're loaded with healthy ingredients like coconut flour, almond milk, chia seeds and berries. 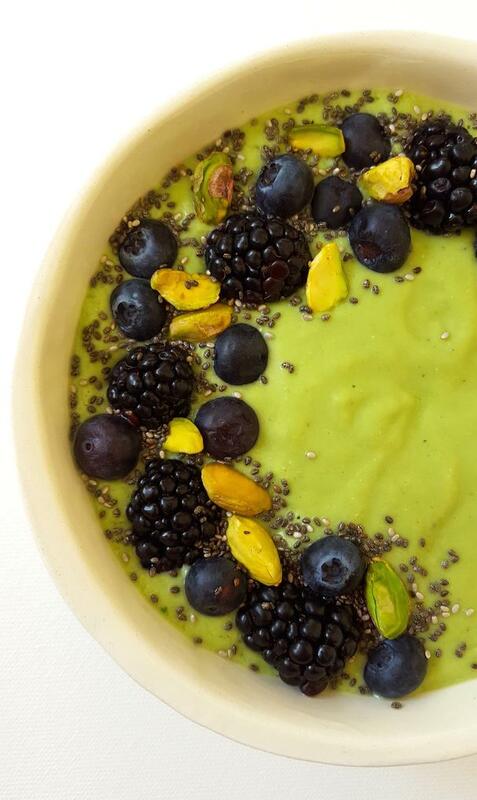 The Superfood Green Smoothie Bowl is one of my favorite breakfasts any day of the week. Turn it into food art and arrange the garnishes alongside the edge of the bowl (see below). 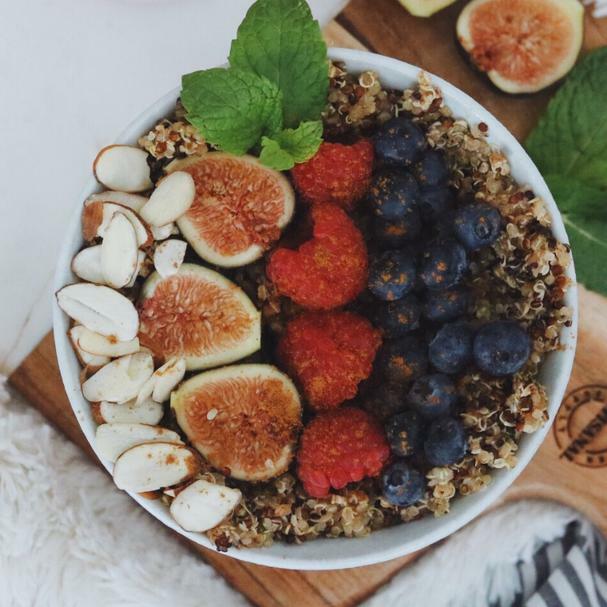 The Quinoa Buddha Breakfast Bowl is a healthy treat she's sure to love. Heart-healthy quinoa, hemp hearts, vanilla, and cinnamon are simmered into a porridge and served with almond milk fresh mint, slivered almonds, fresh berries, and a drizzle of maple syrup. 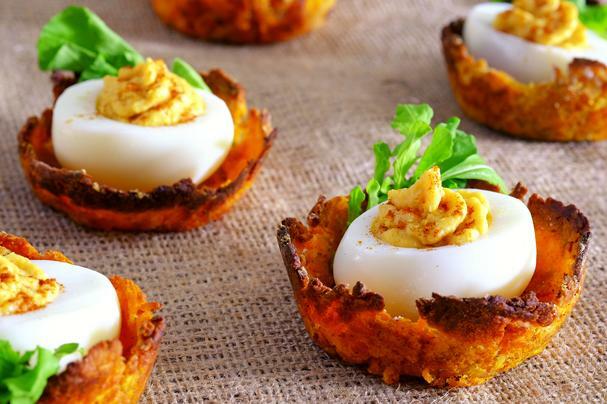 The savory breakfast lovers will delight in the adorable and delicious Deviled Eggs on Sweet Potato Nests. 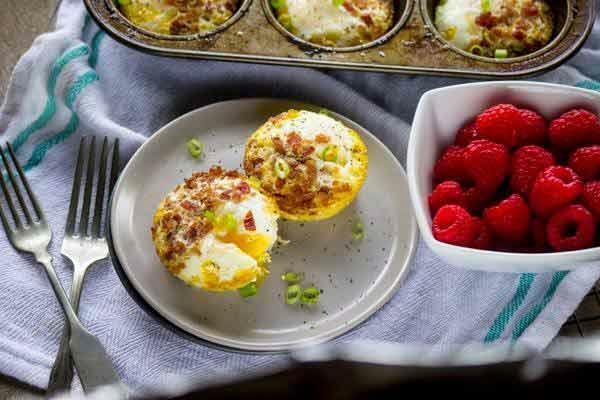 If you have little ones who want to make mom breakfast, the Simple Egg and Bacon Breakfast Muffins are the perfect recipe for them. You'll need to cook the bacon, but they can whip the eggs, season, and help pour the batter into muffin cups. Another great recipe for kids to help with are a classic Eggs Benedict. Skip the homemade hollandaise sauce and buy a store-bought package (add a squeeze of lemon juice and she'll think you made it from scratch). 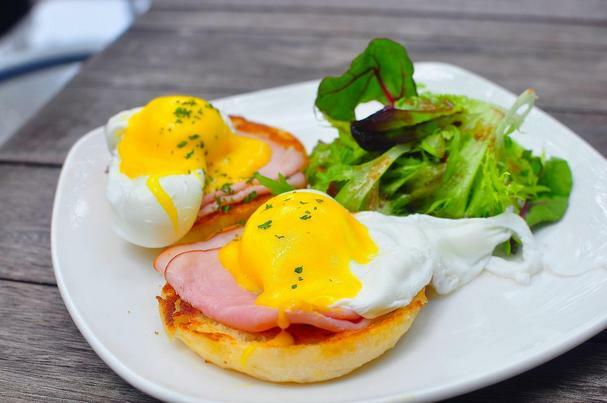 The kids can toast the English muffins and layer them with ham while you poach the eggs. A quintessential brunch that's oh, so tasty! 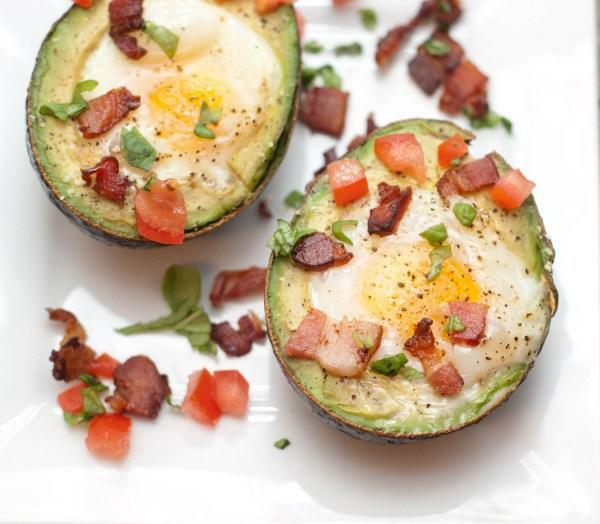 The Avocado Baked Eggs with Tomato, Basil, and Bacon are another simple and elegant brunch dish and look beautiful on a plate! 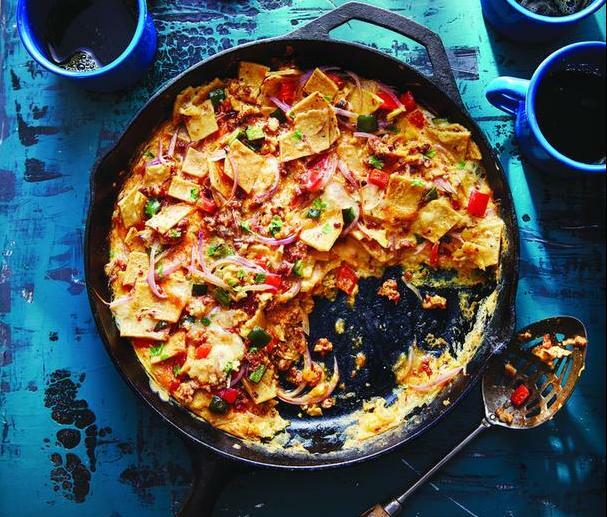 For the mom who loves the south-of-the-border flavors, serve her a one-skillet dish of Breakfast Chilaquiles or Sweet Potato Pinto Bean Breakfast Tacos. Whichever dish you choose to serve Mom, letting her enjoy the day the way she wants is really all the decadence she needs. Happy Mother's Day to all you moms!